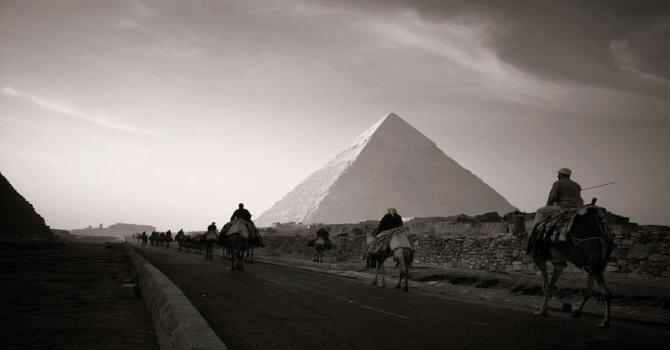 We will pick you up from your cruise ship in Alexandria port then travel 3 hours in private modern van to explore the great Giza Plateau, home of the only remaining ONE of the 7 Wonders of ancient world. Wander the Pyramids of Cheops, Chephren and Mykerinos then stop at the mysterious Sphinx and the valley temple of king Chefren. Continue to relish an amazing lunch buffet while sailing Cairo Nile. Savor the rich buffet lunch as you admire Cairo's waterfront landmarks and amused with folkloric entertainment. Before returning to Alexandria you will visit Papyrus Institute to learn about this ancient Egyptian technique and an opportunity to shop for souvenirs then drive back to port.